There is so much hype about AI at the moment; how it is going to transform society in so many ways. The 4th industrial revolution seems to be in our midst. Our lives will be made more efficient and everything will be easier but at the cost of 20th century jobs ceasing to be and machines becoming more autonomous. The latest offering is from the fashion house Marchesa who have teamed up with IBM Watson to make an AI-enabled dress – somewhat misleadingly called a cognitive dress. 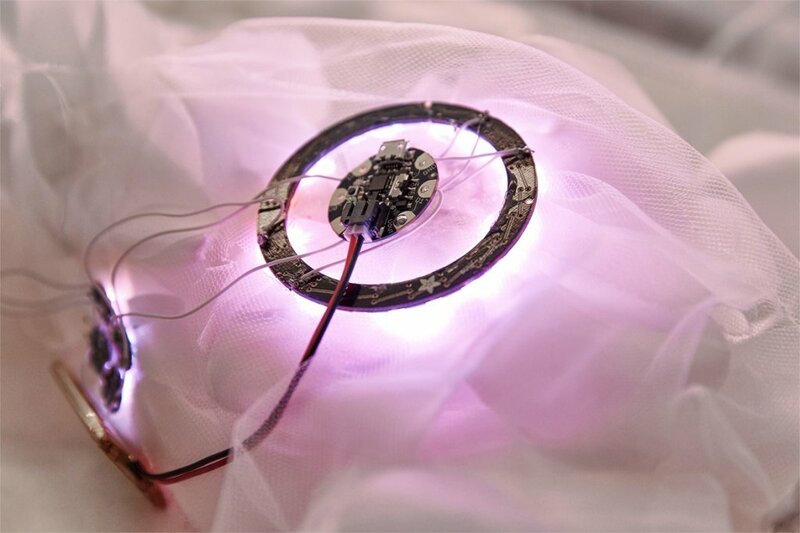 The dress has a network of LEDs sewn into it that can change colour depending on signals sent to them. 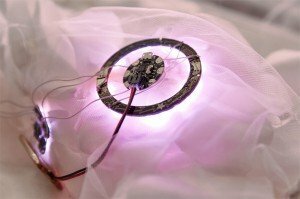 LEDs in clothing has been around for years and is super dumb. So what is intelligent about the cognitive dress? Well it is based on an analysis of social media data in realtime. IBM Watson analyzes Marchesa’s follower’s tweets tagged #CognitiveDress, instagrams and Facebook posts – and uses these to translate the aggregated sentiment expressed through colours. Words like cool, amazing and awesome are tagged as positive emotions and if enough are detected then the dress will transform into a rose colour (signifying joy) and then coral when the sentiments get a bit more passionate, and then aqua if excitement is detected. Others colours projected are lavender that shows the followers are curious about a model or product and butter to show encouragement. Now remind me what lavender means? The mappings between the colours and the underlying sentiments seem fairly arbitrary but maybe that does not matter. Followers watching the models on the catwalk can ‘see’ the colours on the dress change in response to their Internet activity. But this isn’t AI in the true sense. It is a bit of keyword crunching and machine learning, triggering colours to turn on when a threshold for a state has been reached. The underlying technology that was developed to do this is hardly rocket science. IBM also uses its powerful computers to gather thousands of images stored by Marchesa and feeds them into a color design tool, which it claims to be able to understand how the psychological effects of colors, image aesthetics and emotions are interrelated. Maybe that could be considered cleverer. The creative part however is not what appears on the dress – but a neat design tool built on this that can suggest a new palette to designers that they might not have thought about and which fits Marchesa’s brand. There is much more that can be done with the emerging AI technology. But, importantly, we should be thinking of how humans can work together with computers to make better decisions than each can do alone – about how to live our lives more creatively and enjoyably, resolve complex problems, create new inventions, work out how best to feed 7 billion people, develop new economics models and so on. What excites me is how computation, machine learning, and human intelligence is how we can synergistically come up with new ideas for a diversity of tasks, from planning a complex itinerary, determining the best way to learn, and to help politicians work together on a new global warming agreement, peace initiative, or trade policy. It requires thinking at what points should computers solve problems, simulate solutions, and show outcomes and at what points should humans intervene, overide, control, suggest and inspire.